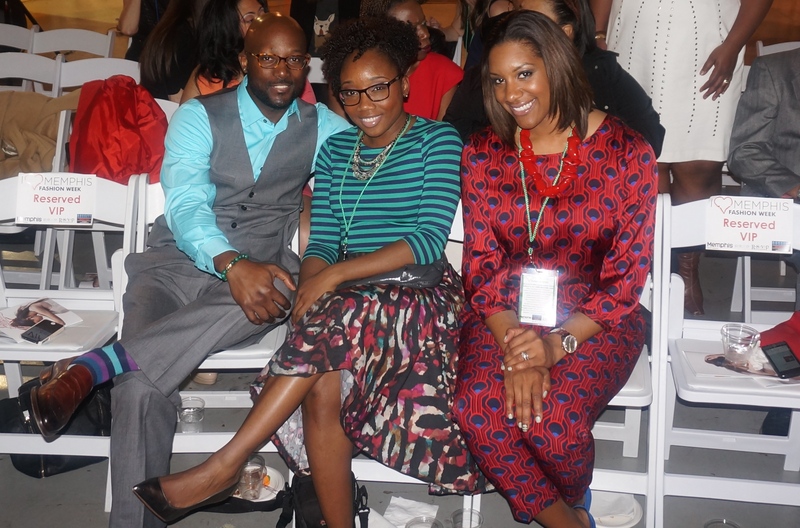 It’s been a week since Memphis Fashion Weekend, and I’m just now starting to come down from a high. 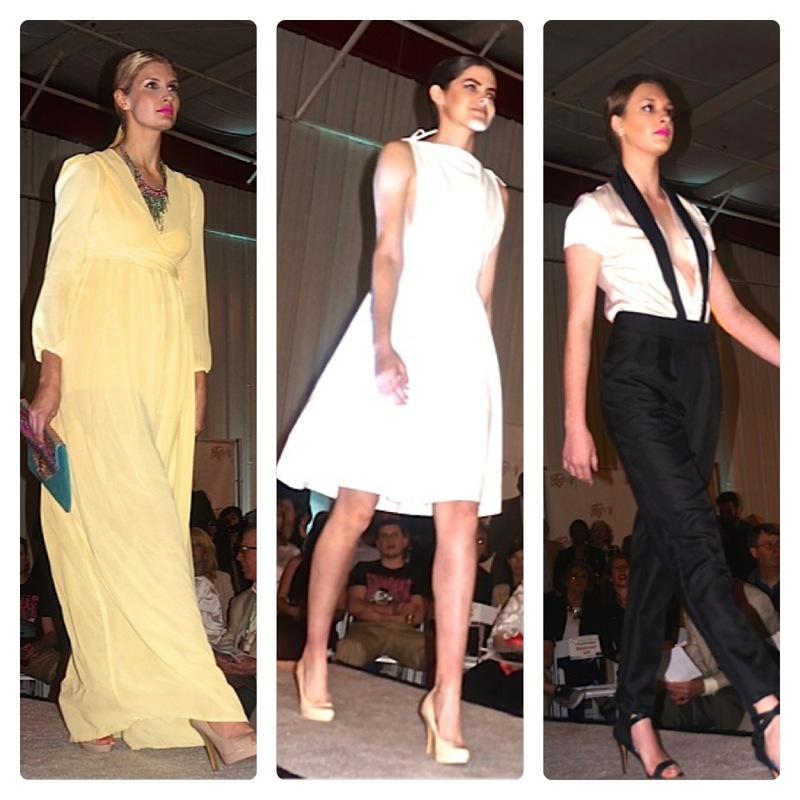 In it’s 3rd installment, the weekend showcased designers, boutiques, and models from across the city. See my last post (MFW recap – part 1) for a look at Friday’s activities. 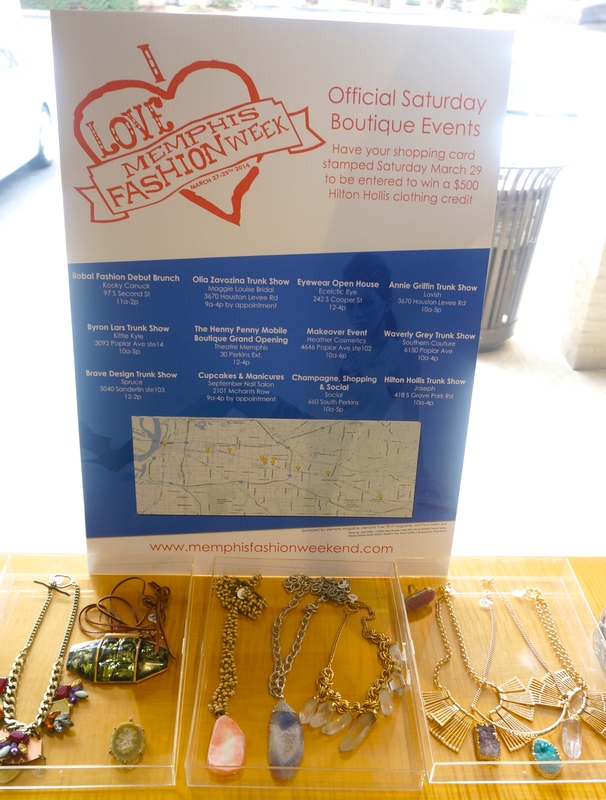 Saturday began with boutique events across the city. I’ve been coveting some pieces from the jewelry line, Brave Design, for a while and couldn’t wait to get to Spruce to survey the latest collection. 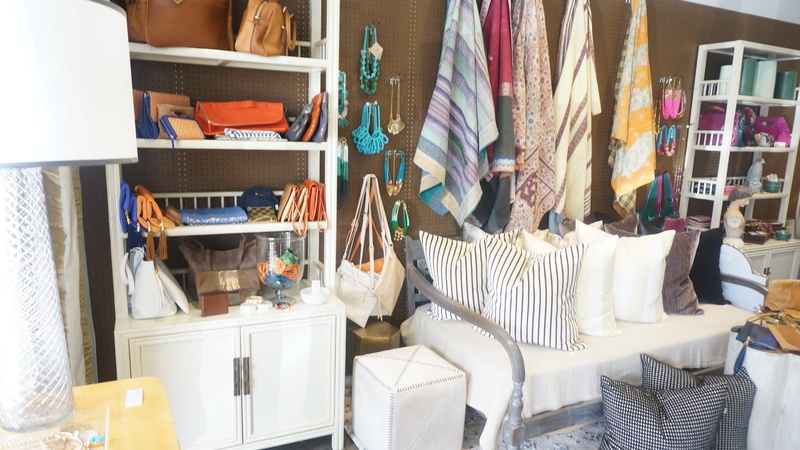 Spruce is a quaint little boutique that specializes in interior design, but also has a nice selection of jewelry and handbags as an added bonus. 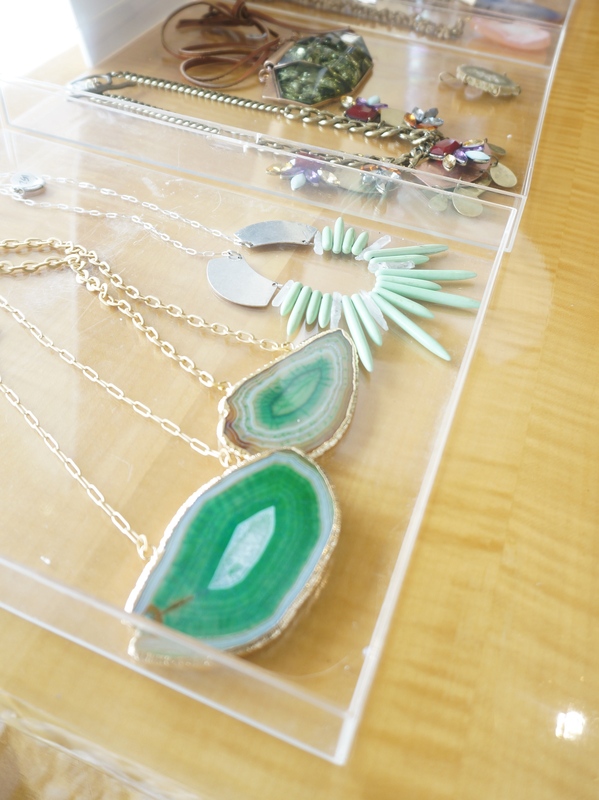 You want a statement piece??? Look at these!!!! Brave Design! 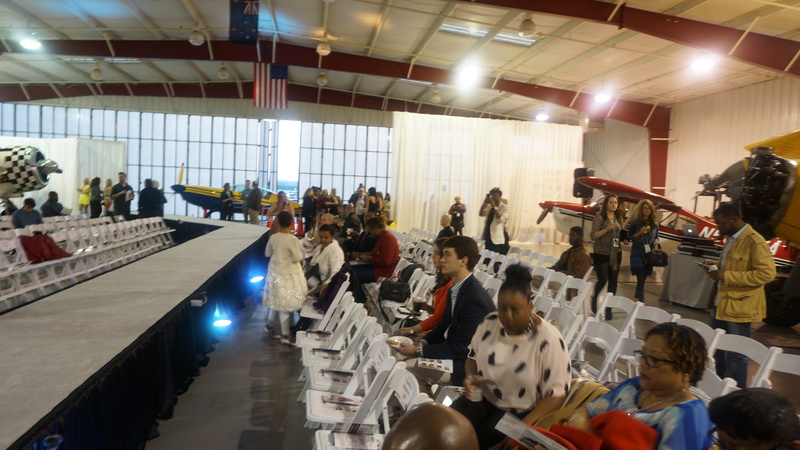 Saturday’s shows were held at the General DeWitt Spain Airport, which was the perfect backdrop for the Emerging Memphis Designers Project. See more information about the EMDP and it’s mission here. Amongst all of the vintage planes and great atmosphere were some awesome collections from some of Memphis’ newest talents. The Emerging Designer collections were a clear favorite of mine. 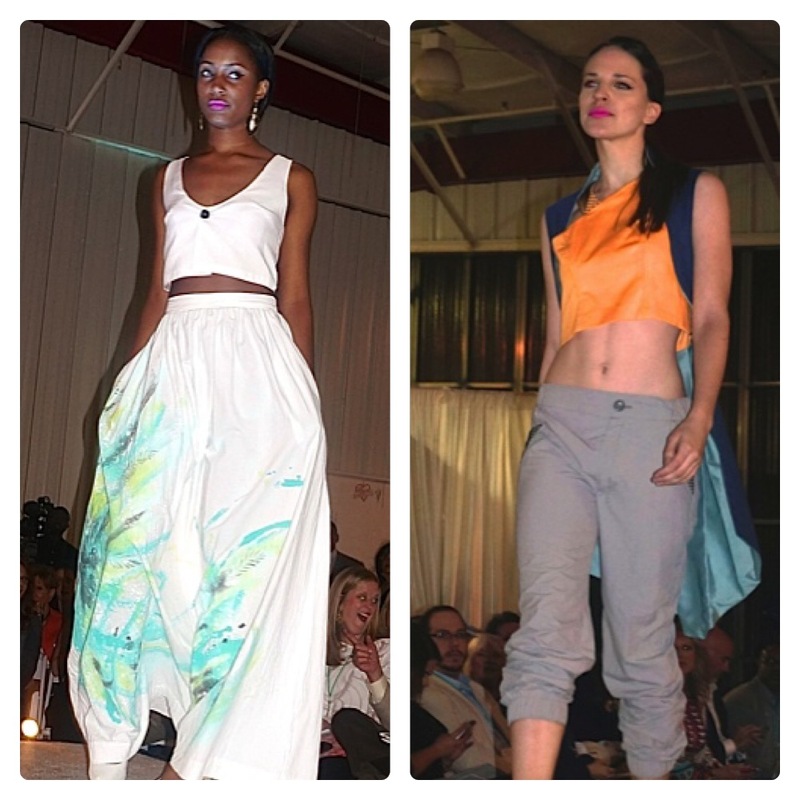 From the hand painted fabrics of Sarah Haschler-Nowlin (below, left) to the sporty chic look created by Laurel Amatangelo (below, right), I loved seeing the fresh perspective of the up and coming designers. 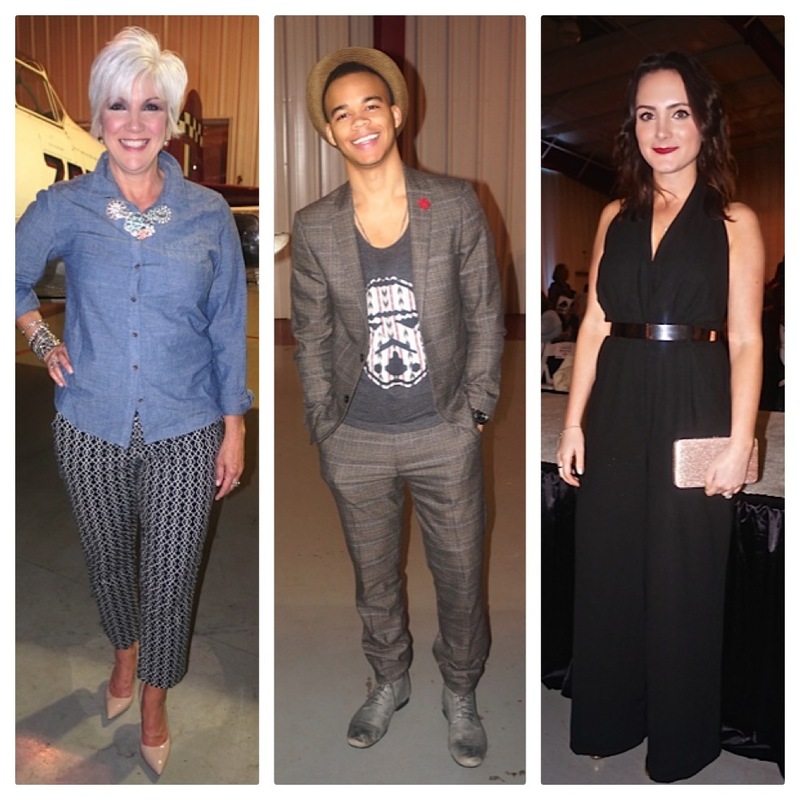 The ‘real’ designers of the night were Hilton Hollis, Vince, and Fluid Sunwear. I honestly can’t say that I was overjoyed with any of the collections they presented hence no pictures. Sorry! If I had to pick a favorite, though, it would be the colorful separates presented by Hilton Hollis, who closed out the night. 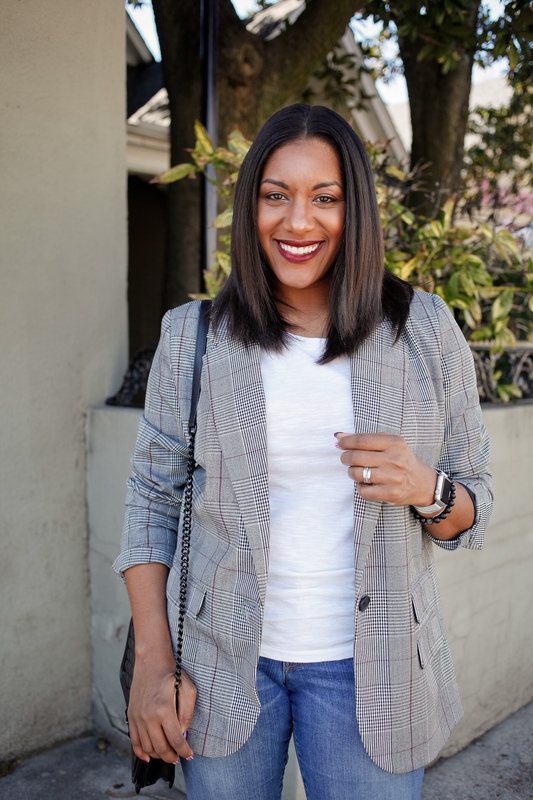 My outfit was inspired by one of my favorite style stars, Solange Knowles (see the post here). If my comfort zone is at the A end of the alphabet, this outfit was at Z!!!! Black pumps didn’t do it justice so I picked up the the blue in the print and went with my blue suede d’orsay pump. I kept the color palette going with my accessories…a red stone necklace and a red zipper pouch as my clutch. Did you peep the blue zipper? I took a major risk with this print on print look, but I think I pulled it off nicely. Many thought it was a jumpsuit, but it was really separates. 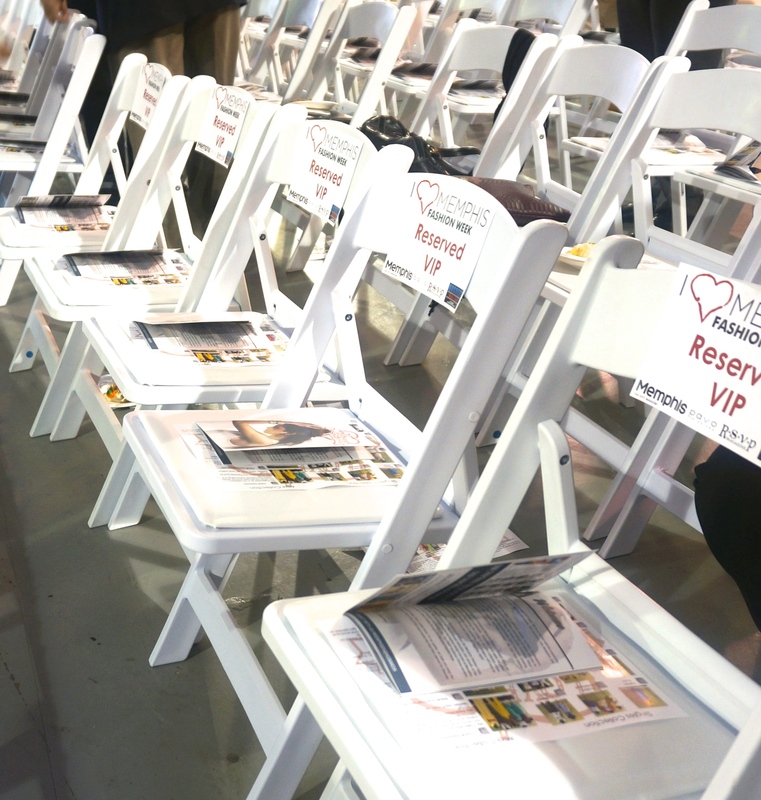 And what would a hot runway show be without some fashionable attendees??? I was glad I had the chance to capture some Real Style of Memphis while there. I thought each of these were quite stylish and most definitely apropos for fashion week. Trend spotting: black and white, cutouts, and ikat, OH MY! L ~ How fab is this lady?!?!?! And guess what? She said her WHOLE outfit came from Target too!! 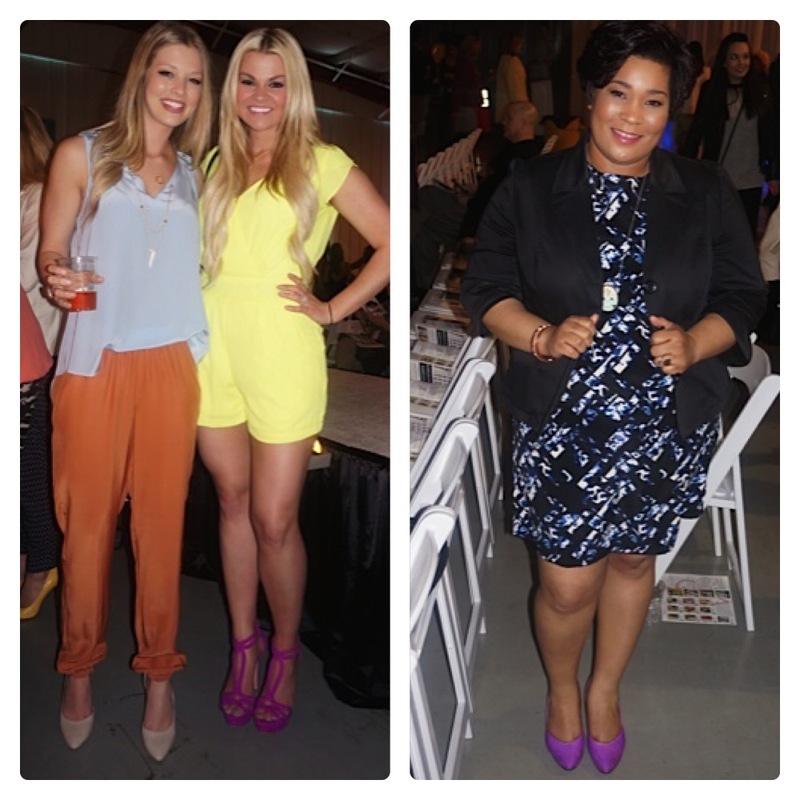 More proof that you don’t have to break the bank or be dripping in labels in order to look stylish! The final day of MFW did not disappoint! The emerging designers are certainly ones to watch, and I enjoyed all that came with MFW. It would’ve been nice to have an after party to go to but oh wells! 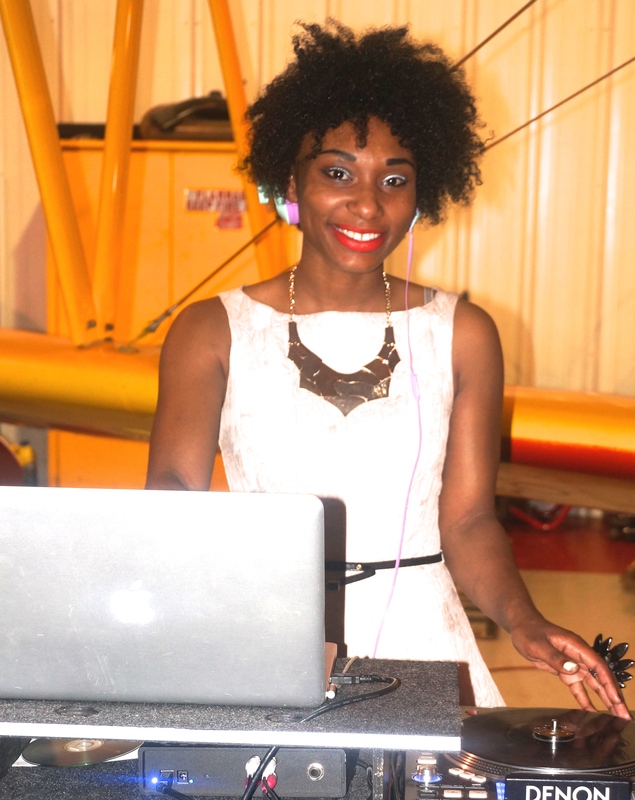 And DJ Cooly (below) styled the music to perfection the entire weekend. Need a DJ, hit her up here. According to Q, it’s ok to step out of your comfort zone a bit to try something daring and different. Look for something or someone inspiring and recreate it in your own way! Prints are huge for spring/summer so have fun with it!! Will you dare to try any prints? What about print on print?